Organizers say no other Fort Fisher program to date rivals the scope of what awaits visitors that weekend. Due to anticipated high attendance, visitors are encouraged to arrive early both days. Free public parking will be provided at the Fort Fisher Air Force Recreation Base, just north of the historic site. From there, visitors can take a short stroll to the site or board one of several free shuttles. The site will open at 9 am each day, with activities throughout the day. 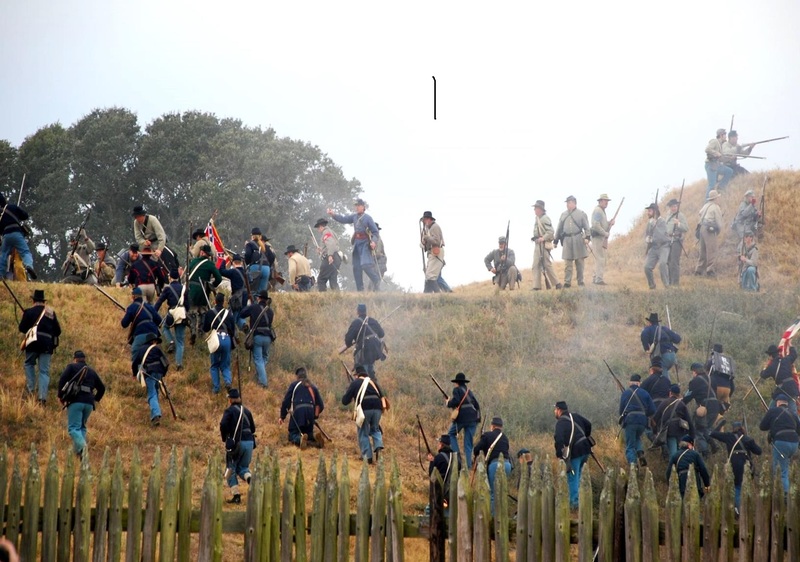 At the core of the observance weekend are Saturday and Sunday recreations of the January 1865 Union attacks on Fort Fisher. The battle reenactments will feature hundreds of reenactors representing Union and Confederate soldiers, sailors, and Marines realistically depicting everything from camp life to battle strategies. 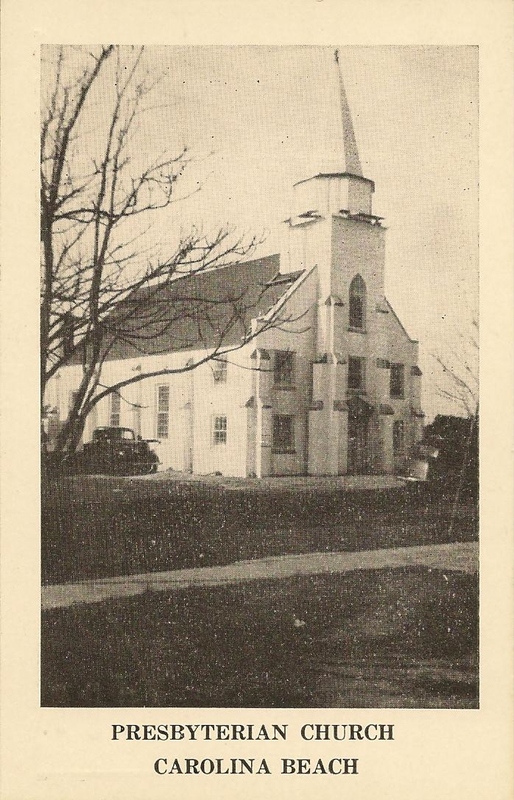 This card shows the Carolina Beach Presbyterian Church at 205 Charlotte Avenue. The first service in this building was held on March 17, 1946. The congregation worshiped there until they built a new church at 1209 North Lake Park Boulevard which was dedicated November 10, 1985. The church’s web site has an interesting link detailing their history. Check it out at www.cbpresby.com – under “About Us / History”. The old church was converted into a restaurant in the mid-1980s by Pete Herring. 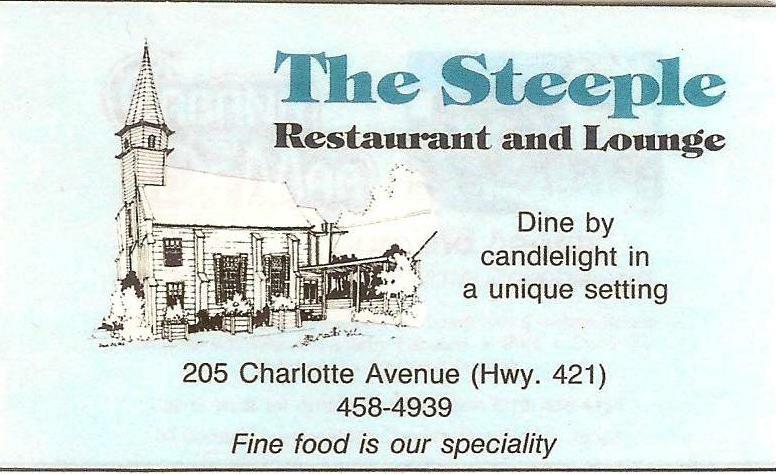 He named it The Steeple Restaurant and Lounge and was the chef there for a number of years. 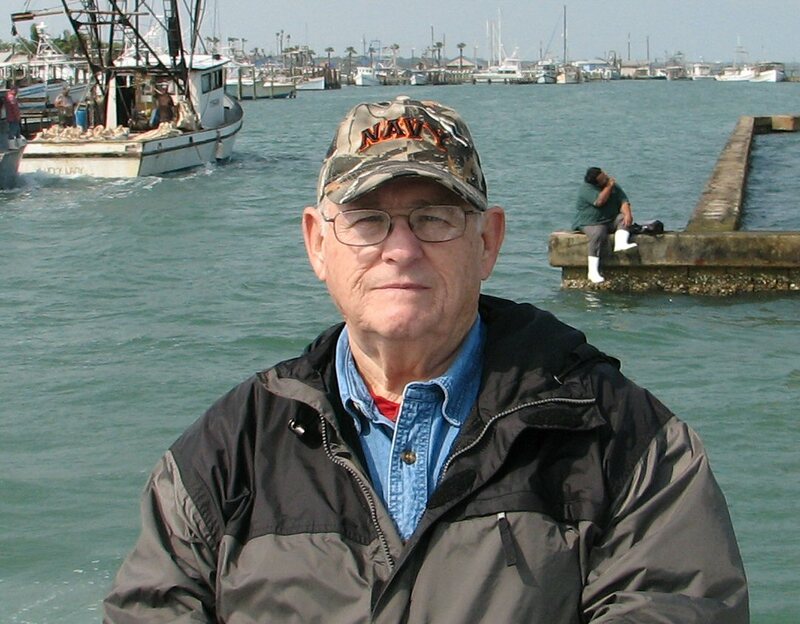 Pete was the son of Allen Herring and Juniata Bame Herring who owned and operated the Center Pier and Ocean View Restaurant. Juanita was also the librarian at Roland Grice Junior High School. Pete’s grandparents were J.R. Bame and Mandy Ludwig Bame, owners of the Bame Hotel. 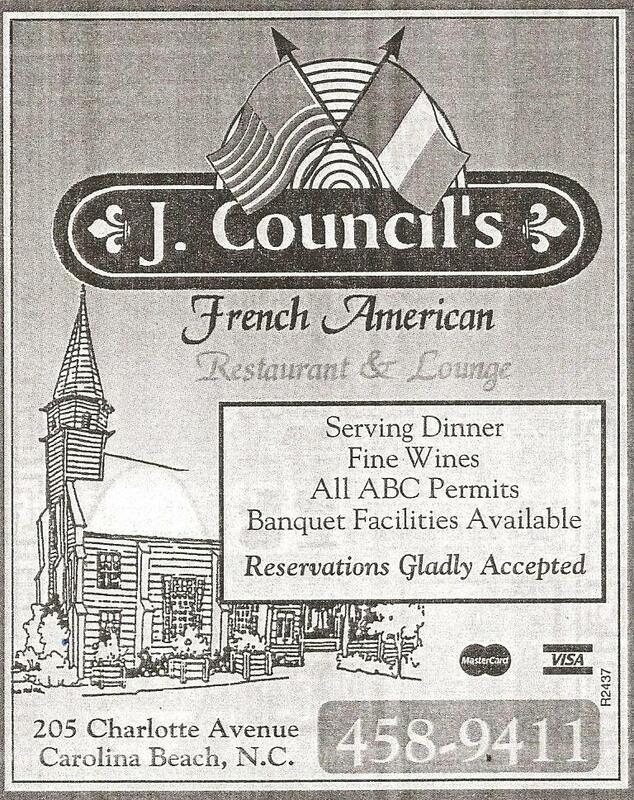 The converted church became J. Council’s French American Restaurant and Lounge in the late 90s and later the popular Deck House Restaurant we know today. 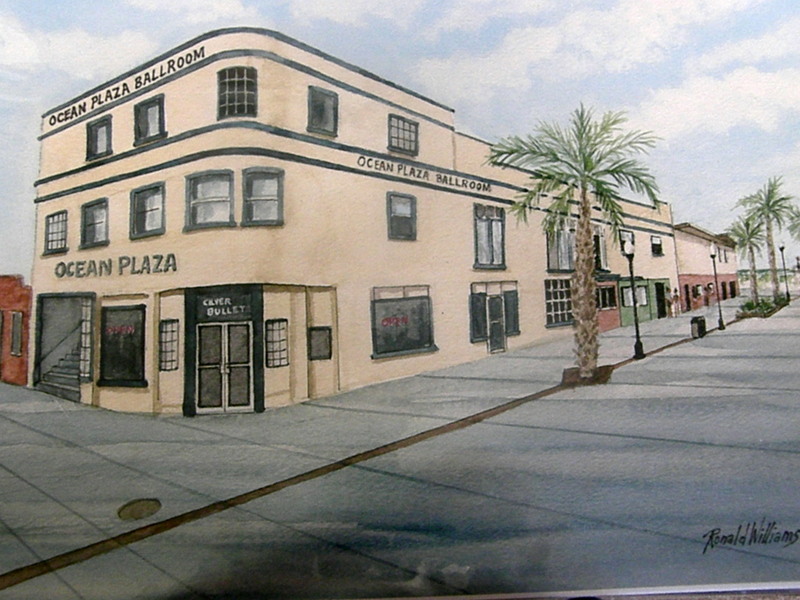 You may have heard that the Federal Point Historic Preservation Society is partnering with the Citizen’s Recognition Walk of Fame Committee to create a lasting memorial at the Carolina Beach Lake. 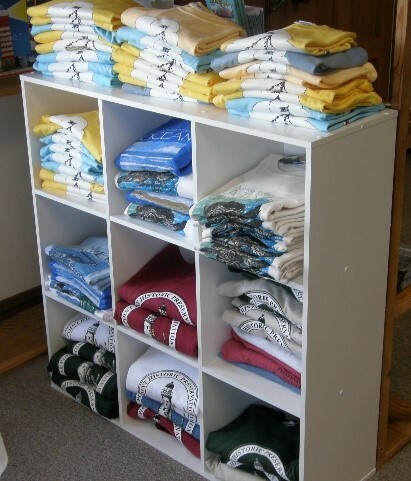 A request was made to the Town Council for start-up funds and they were approved at the November Town Council meeting. Darlene Bright is serving on the committee and Demetria Sapienza will be supervising their finances. 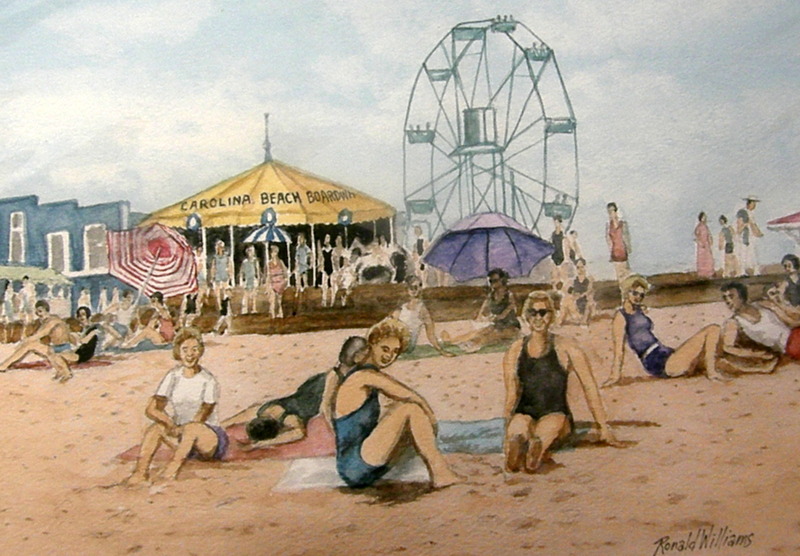 The Committee’s basic function will be to accept nominations and choose no more than five (5) citizens each year who have made a tangible and lasting contribution to the Town of Carolina Beach through their outstanding leadership and service, advancing the economic and social development of Carolina Beach as a residential community and beach resort. The Committee will review nominations and confirm the information received with the Federal Point Historic Preservation Society to ensure that the information is historically accurate before ordering a monument. The Committee will solicit and receive contributions and donations to provide for the making of the monuments and these funds shall be deposited with the Federal Point Historic Preservation Society for the benefit of the Citizen’s Recognition Program Walk of Fame. The monument shall be light gray granite, weighing 165 pounds and measuring one foot by two feet and four inches thick. The monuments will be placed around the Carolina Beach Lake. The Hewett-Lewis-Davis-Henniker families with the help of others started Federal Point Methodist Episcopal Church. The certification of the Federal Point Methodist Episcopal Church, South, was established by Bishop R. G. Waterhouse on November 23, 1914. 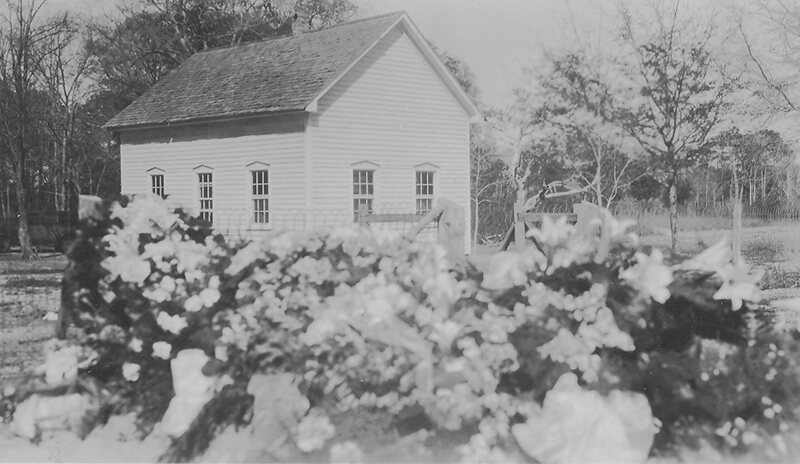 The church was dedicated on June 17, 1917 by Rev. J. H. Shore. He was the presiding elder of the Wilmington District of the North Carolina Conference. On this occasion, he delivered the sermon. My father, Howard Curtis Hewett Sr. and his sister Ethel Virginia Hewett were baptized in 1920 at the ages of six years and eight years, respectively, as found in the Register of Infant Baptisms. 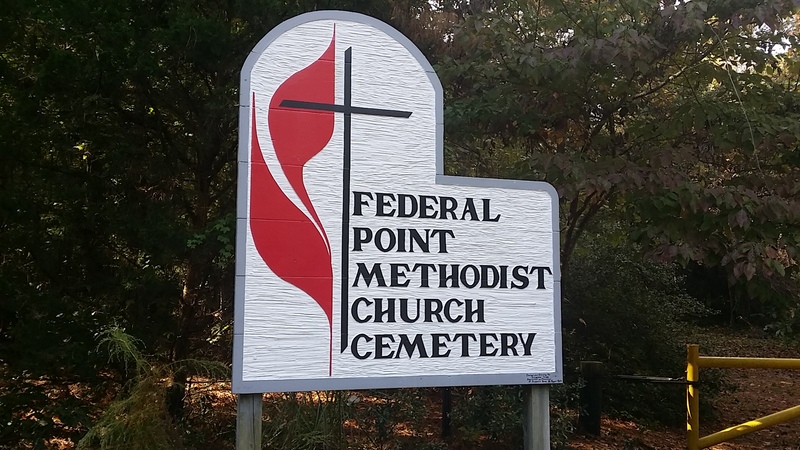 The original Register of Membership and Register of Infant Baptisms for Federal Point Church was given to the Carolina Beach United Methodist Church, Carolina Beach, N.C., following the death of Howard Curtis Hewett Sr. in 1995. Links to copies of the original Register are displayed at the end of this document. I remember my mother singing in the choir and Dad, Grandmother and I sitting on the right side of the sanctuary usually by a window. When it was hot Dad allowed me to sit on the window sill. The benches were handcrafted without any cushions. On these occasions, as the preacher delivered his sermon, everyone would be fanning away and I assure you there was not a breath of air moving. If you listened closely, you could hear the insects droning outside. There was no such thing as casual dress which made everyone that much hotter. I never saw my father in church on Sunday without a tie. 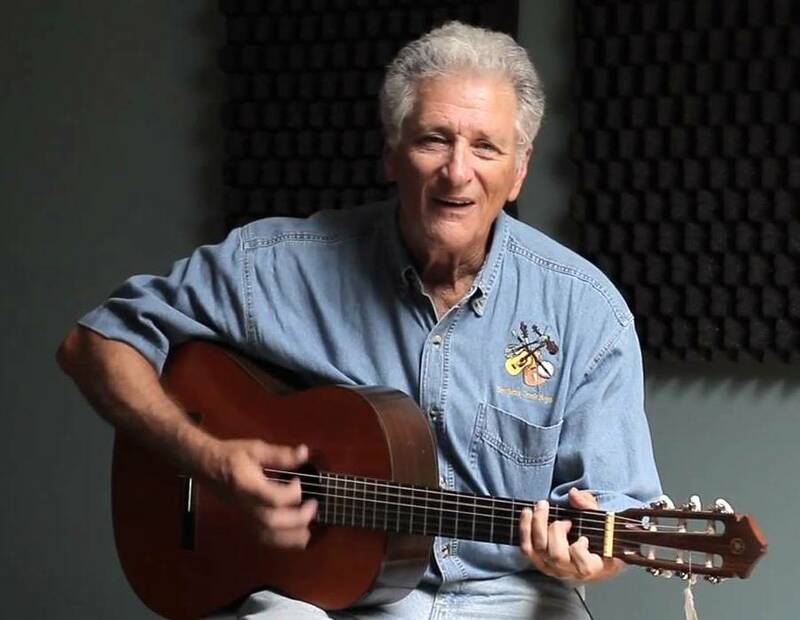 I have fond memories of church dinners on the grounds under the oak trees and Uncle Otis Davis and Uncle Wilbur Davis making fresh squeezed lemonade in a big crock-pot with lots of sugar. My mother Helen Roebuck Hewett would not drink the lemonade because she claimed they stirred the lemonade with their hands, but in their defense, I seem to recall there was a paddle; whether it was used may be up for debate. There was always fried chicken, deviled eggs, collard greens, biscuits and potato salad. My favorites were deviled eggs and homemade pickles. There was water available from a hand pump located next to the road that led to Uncle George Henniker’s and Aunt Sarah Ellen’s home on the river. I do not remember the quality of the water only that it was there. Kids were drawn to the pump like it was a magnet, cupping their hands under the spout while another kid pumped. Usually more water ran down their elbows onto the ground than they were able to capture. In the current environment, folks would marvel that kids could be entertained with a hand water pump. This type of pump was common to everyone’s back porch. Another memory I have related to the church was my first Christmas pageant. I had one line to deliver. I think the reason I remember the pageant was because I had stage fright to the point that when it came time to deliver my line, “Hark! I bring you good tidings,” I could not utter a single word. As I recall the Sunday school teacher had to deliver my line from the door of the classroom. I was a little embarrassed, even mortified, but relieved that those words were finally spoken even though it was not by me. There is one story about my grandfather, Albert Walker Hewett, and my grandmother, Addie Jane Hewett, that occurred when my father Howard Curtis Hewett was around 12 years old and my Aunt Ethel Virginia Hewett Bell would have been 14 years old. They had all gone to church on a Wednesday night. When the kerosene lamps were turned off at the end of the service, it became quiet and dark in those Federal Point woods. 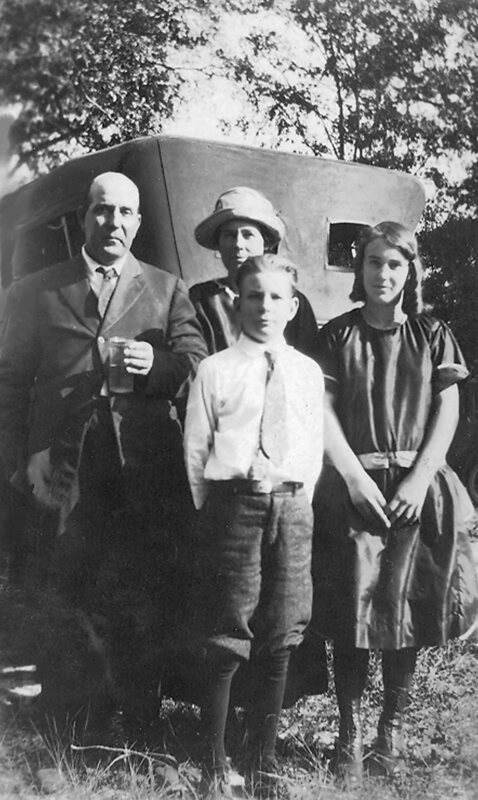 The story goes that Grandfather and Dad went out to the Model T, set the magneto, turned the crank, and when it fired, they jumped in and headed for home, which was about 2.8 miles away. The road home from the church ran down what is currently called the Dow Road (built in 1916), but instead of making the 90-degree turn at K Ave., the road continued straight and ran almost parallel to the river passing Uncle John and Aunt Rebecca Davis’ home. It then continued past the Lewis homestead on down to the home that Grandfather and Grandmother moved into when they married in 1911. Their original house was located in what is currently the Air Force recreational facility. Since the Hewetts are known for not having the gift of gab, Grandfather and Dad headed home without comment. Upon arriving at home, it was determined that Addie and Virginia were not in the back of the Model T.
In rural North Carolina, there were not that many paved roads so you may have thought it impossible for them to drive 2.8 miles on a sandy rut-filled road without Grandmother saying “Albert, please slow down.” I think the Hewett women must have picked up a more “talkative gene” along the way. In telling this story my dad once said, that “Wash Foot Methodists were not very talkative.” Dad never related what Grandmother said when they got back to the church that night, but when telling this story, he would always grin. On the right is a photo of my grandfather’s grave site in 1935 with the church in the background. It is the only photo I have of the church. The church in this photo appears to be a rectangular shape. In studying this photo, the orientation of the church and the grave-site is not exactly as I remember it. The current fence runs perpendicular to the head of my grandfather’s grave and my remembrance is that the church was basically parallel to the fence. I also recall that the entrance to the church was facing the road; the elevation required four or five steps to reach a landing at the door. I remember the church having a ‘T’ shaped floor plan with the sanctuary being the longer section with two rooms on each side. There were windows on the back wall on each side of the pulpit. In the room on the right side there was a bellows-type organ. This room was completely open to the sanctuary. It most likely served as a classroom. On the left side toward the cemetery there was another classroom. My remembrance indicates that there was a relocation of the original church sanctuary with an addition to the original building transforming it into a ‘T’ floor plan. The time period of these changes had to be between 1935 and early 1940. By 1945, the church was as I remember it. As reported on April 3, 1938 by the Wilmington Star, the family of A. W. Hewett (Albert Walker Hewett) gave the Federal Point Methodist Church a silver communion service in his memory. (Wilmington Star, 4-7-1938, 4-8-1938) I did not learn of this until I read the “Federal Point Chronology 1728-1994” compiled by Bill Reaves. 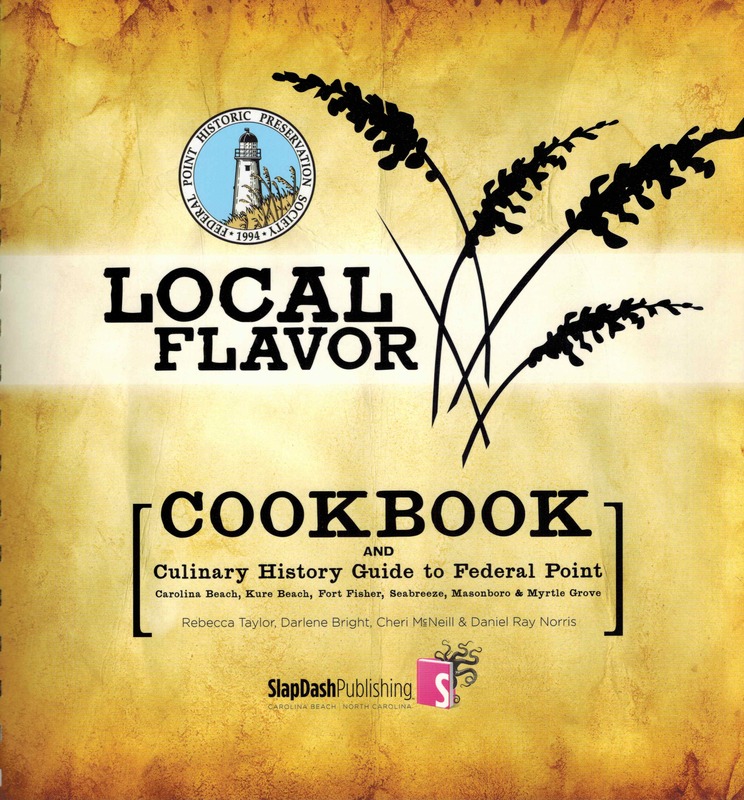 It was published by the New Hanover Library and the Federal Point Historic Preservation Society in 2011. During the writing of this document, I learned from my brother Thomas Walker Hewett that the communion service consisted of a serving tray with glass communion cups and a plate for the bread with each having a cover. At the closing of the Federal Point Methodist Church, our grandmother obtained possession. Following Grandmother’s death, my Aunt Virginia Hewett Bell took possession until her death in 1992. Several years after Aunt Virginia’s death, the serving pieces were given to the St. Paul Methodist Church at Carolina Beach, N.C. by Alex and Wayne Bell. The communion set now resides in their historical display case. It is interesting for me to think about receiving communion using these serving pieces since this is a special part of the Christian tradition, my own connection with family history and our family’s special connection with the traditions of the Methodist Church. But as I think about it, I mostly likely did not receive communion until joining St. Paul Methodist Church in Carolina Beach, N.C. in 1951 at the age of twelve. I believe the date of this photo of some members of the church is around 1920. This photo is interesting not only from the period aspect but from the relationships of members of the early Federal Point Methodist Church. I arrived at this date by applying the birthdays of some of the younger children, then extrapolating by their appearances. Curtis Hewett (Dad) was born on July 23, 1914. Gladys Davis was born in 1917 and Leotha Davis was born on August 28, 1919. Leotha appears to be around four months old. My best assumption is the photo was taken around early 1920. At this time Georgianna Lewis would have been the matriarch of the Lewis family. Edward Lewis would be Isabell Lewis Foushee’s father (Oral History – FPHPS). We do not know which one of the Samuel Lewises is actually Sam Lewis. Samuel A. Lewis would be the grandfather of Ryder Lewis (Oral History – FPHPS). Rebecca Hewett Davis is holding Leotha Davis with sons Otis and Wilbur standing on the front row. Gladys is a daughter who was born in 1917 and died in 1922 at the age of four years old. John Webster Davis and daughter Beatrice Davis are not shown. 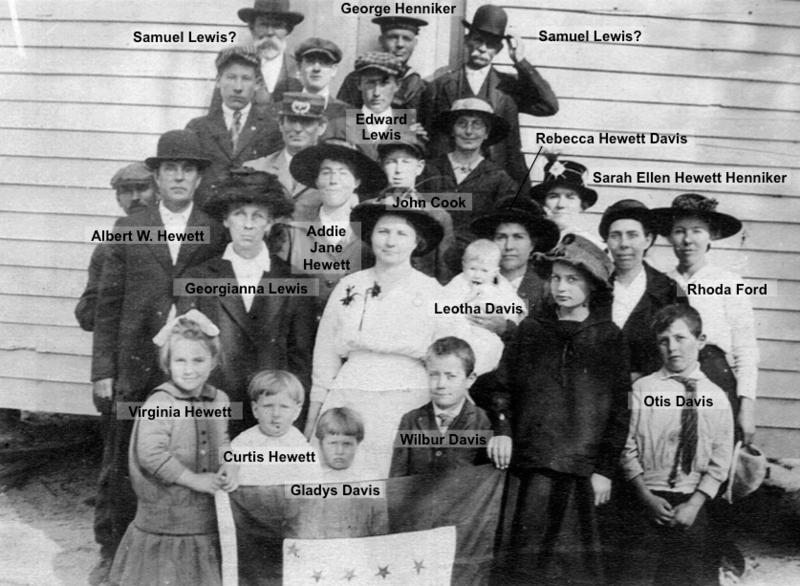 George Henniker (Henniker Ditch) is top center and his wife, Sarah Ellen Hewett Henniker, on the right were the parents and grandparents of the Henniker and Peterson clan. George Henniker was originally from England where he was a merchant sailor. Grandfather Albert Walker Hewett and Grandmother Addie Jane Lewis Hewett are shown with Aunt Virginia and my dad, Howard Curtis Hewett Sr. Georgiana Andrews Lewis is the mother of Addie Jane Lewis Hewett. The History Center is very proud to have Wilmington Water Tours as one of our Business Members. In fact, we are just plain proud to know these folks. We have taken several of their cruises up and down the Cape Fear River and many times accompanied by local historians narrating our journey. Folks like Dr. Chris Fonvielle and Beverly Tetterton tell us so much of what we never knew. 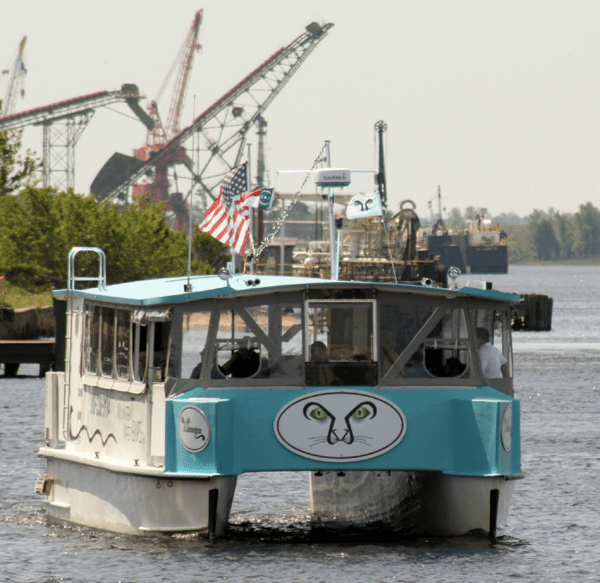 You really have to visit Wilmington Water Tours website to fully appreciate all the ways in which you can be entertained whether it is a Sunset Cruise, or a lazy day cruise sipping Bloody Mary’s, you will find something affordable and fun to do. 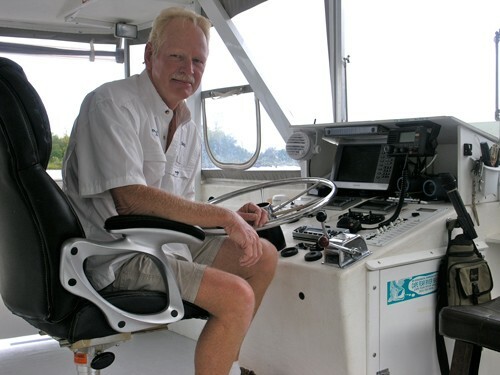 Captain Doug Springer and his wife, Diane Upton, returned to Wilmington in 2004 to pursue their dream of life on the water. The Wilmington is the first and finest state-of-the-art catamaran to serve Historic Downtown Wilmington, NC. The Wilmington has a wake cancelling design and is fully enclosed (heat if needed). She is handicap accessible and offers a flexible layout for comfortable seating up to 49 guests. All ABC permits and spacious restroom complete our package. Come downtown and visit us, you’ll be impressed with our 46′ catamaran, The Wilmington. Wilmington Water Tours is based out of Wilmington, North Carolina, here to serve the city and its new convention center. They offer sunset cruises and private charters. Their investment in the custom design and state of the art catamaran The Wilmington, the first vessel of hopefully many, allows us to provide a wide range of offerings. Give these folks a look and let them know that you too are a member of the Federal Point Historic Preservation Society. And remember, they will donate a part of the ticket purchase price to the History Center for every ticket purchased by members. DONATIONS! Thanks to Ron and Debbie Price for their donation of books for the library and a FPHPS tote bag. The History Center recorded 50 visitors in November. 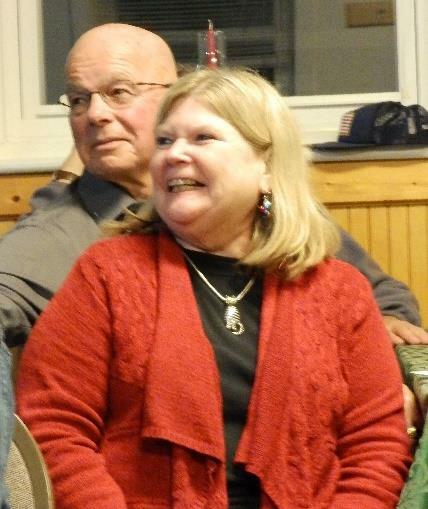 We had 36 in attendance at the November meeting. The gift shop took $31.50. The cookbooks are selling at a steady pace. 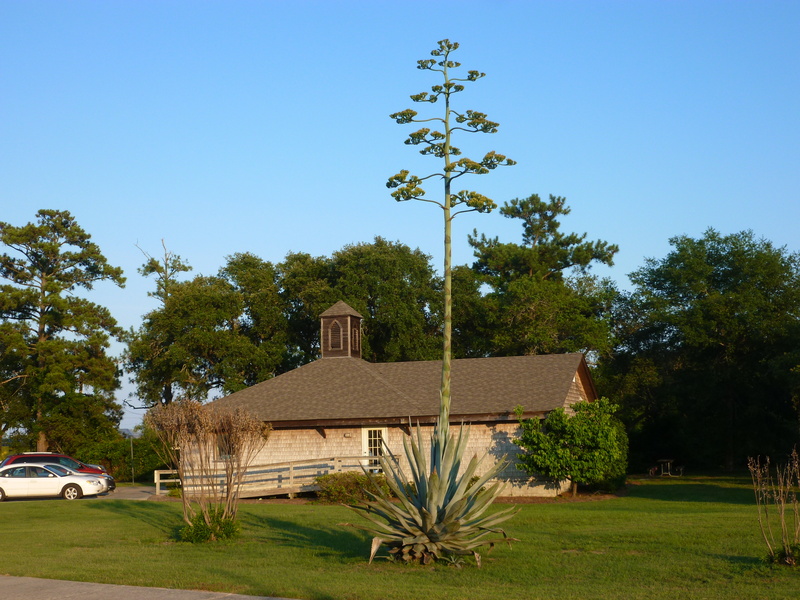 The History Center was also used by Got-‘em-on Live Bait Fishing Club, the UDC-Fort Fisher Chapter, and the Committee for the Carolina Beach Walk of Fame. Thanks to volunteers Demetria Sapienza, Darlene Bright, Leslie Bright, and Lois Taylor for helping out at the History Center. A huge thanks also to Andre Blouin and Tony Phillips for all their work on the web site and on Facebook. 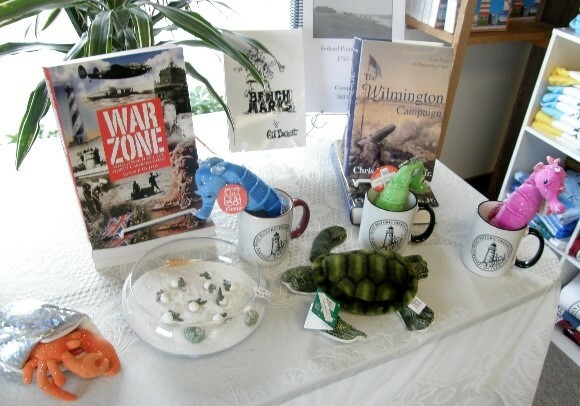 … and … GET YOUR RAFFLE TICKETS NOW! Tickets are $1.00 apiece, 12 for $10.00, or 25 for $20.00. We’ll hold the drawing at the Christmas Party (December, 15 @ 6:30 pm) . You don’t have to be present to win.